Windows Central has teamed up with VRHeads to gift one of their fans with brand new gaming PC, chair and more! 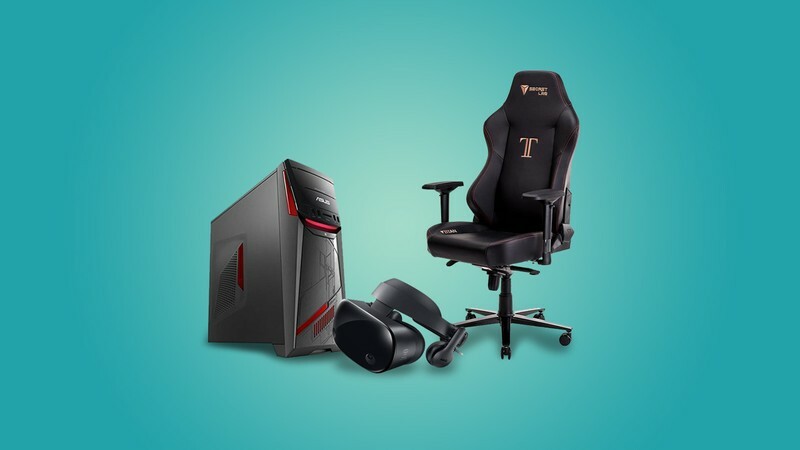 To enter in this Asus Gaming PC, Chair and VR Headset Giveaway grab your free entries by following few simple steps listed down below! ASUS G11 is designed for casual gamers who want a high performance gaming platform that doesn’t break the bank. Powered by a 7th Generation Intel Core processor and up to a NVIDIA GeForce GTX 1080 graphics card, the G11 brings exceptional processing power and mind-blowing visuals to the table. It looks the part, too — thanks to an aggressive design and customizable ASUS Aura lighting effects. A host of tools enhance your gaming experience with the G11, including the exclusive ASUS AEGIS III that allows you to monitor system parameters and settings, and XSplit Gamecaster that lets you record, edit and upload gameplay videos on social media. The G11 also includes ASUS SonicMaster technology, for optimized audio that completely immerses you in the game. Winner will be announced in the widget shortly after the close date.